Tibet Telegraph: Tibet’s Transition: Will Washington Take a Stand? Tibet’s Transition: Will Washington Take a Stand? In the six decades since People’s Liberation Army troops invaded Tibet, China’s Communist Party has been unable to destroy Tibetans’ national identity or devotion to their leader, the Dalai Lama. It is not for lack of trying. In the quest to transform Tibet, China has launched Marxist campaigns against religion and the Dalai Lama himself; tortured monks, nuns, and lay people; created a permanent military presence; confiscated rare minerals and resources; and inundated Tibet with ethnic Han Chinese. In the diplomatic arena, Beijing claims Tibet as a “core interest” and rebuffs foreign concerns as interference in China’s internal affairs. In neighboring Nepal, Beijing is trying to end Kathmandu’s historic role as a way station for Tibetan refugees on their way to India and to clamp down on Nepal’s own well-established Tibetan refugee community. Beijing has effectively shut down the Sino-Tibetan Dialogue, an on-and-(mostly)-off series of meetings between envoys of the Dalai Lama and the Communist Party’s United Front Work Department. Without a meeting since 2010, and faced with the deteriorating situation inside Tibet, the Dalai Lama’s envoys to the talks resigned their positions in June 2012. 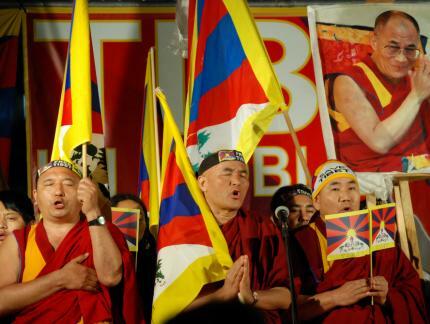 Nevertheless, China’s policies have provoked rather than crushed Tibetan resistance. In 2008, demonstrations, the largest in two decades, spread from the capital, Lhasa, into eastern Tibetan regions that had not previously been associated with unrest. These areas are now at the epicenter of a series of self-immolations—primarily by Buddhist monks, but also by average citizens. There were forty-four such suicides between February 2009 and July 2012, according to the International Campaign for Tibet. In response, China has poured more security forces into the area and into monasteries. After two Tibetans from Eastern Tibet set themselves on fire in Lhasa in late May, Chinese authorities detained hundreds of Tibetans and barred foreign tourists. As protests in Tibet intensify, a new trend has emerged—nuns and everyday women are now among the forty people who have self-immolated since last March. Chinese leaders appear to be waiting for the current Dalai Lama, now seventy-seven, to die so they can install their own candidate in this position that has historically combined political and spiritual authority within Tibet. Ironically, in 2007, Beijing’s ostensibly atheist Communist government issued an order called “Management measures for the reincarnation of living Buddhas in Tibetan Buddhism,” making approval of the Dalai Lama subject to approval by China’s State Council. Beijing has previously demonstrated the lengths to which it will go to control the Tibetan Buddhist hierarchy. In 1995, Chinese security agents seized a six-year-old boy identified as the Panchen Lama, the second most prominent Tibetan lama, and substituted an imposter who, now grown, is taking on a more public role. This imposter lama attended a Beijing-sponsored Buddhist conclave outside the mainland for the first time last April, in Hong Kong. Beijing’s strategy of occupation has been complicated, however, by two important developments. First, in announcing plans for his successor, the Dalai Lama has explicitly rejected a role for China’s leaders in the selection process. He has stated that his reincarnation may be found outside Tibet. In a statement of September 2011, the Dalai Lama outlined scenarios that include the identification of his emanation in an adult before his own death. Such a prospect, writes Columbia University scholar Robert Barnett, is based on “important but neglected elements of Tibetan Buddhist tradition, framed pragmatically to address the key weakness of the reincarnation system,” i.e., the interim between the identification of the next Dalai Lama in a young boy and his age of majority. So far, Washington has not responded to these momentous developments. Throughout its relationship with Tibet, the US has formulated its policies with other interests in mind, such as the war against Japan, the spread of Communism in Asia, and, today, the desire to cooperate with Beijing. The momentous changes under way in the Tibetan exile leadership will force Washington to evaluate its interests once again. Until the 1940s, America didn’t play much of a role in the affairs of Tibet, an isolated theocracy perched on “the roof of the world.” The country was regarded as a buffer and a pawn in geostrategic struggles between Russia, China, and British India, great-power rivalries that undermined Tibetan sovereignty. At the time, Washington’s policy deferred to Delhi and London, and no one came to Tibet’s defense, rhetorically or otherwise. Leading powers believed they needed Beijing’s help to resolve the Korean War, and that too became a reason not to help Tibet. Nevertheless, Washington still had interests to pursue in Tibet. Facing invasion and occupation alone, the Tibetans negotiated with Beijing on an agreement purporting to guarantee their autonomy under Chinese rule. Washington now urged the Dalai Lama not to sign. Later, the US launched a secret program to supply and train Tibetan rebels, not to reverse the invasion, but at least to tie down Chinese communism in the region. Eventually, the program ended as Washington maneuvered to use China as a Cold War counterweight to the Soviet Union. Only in 1978, however, almost thirty years after the invasion, did the US formally adopt the position that Tibet belonged to China. Washington might have conceded Tibet entirely were it not for congressional pressure and the growth of an international movement in support of the Dalai Lama. After the Cultural Revolution ended, the first Western travelers in years reached Lhasa and more information about oppressive conditions under Chinese rule reached the outside world. Interest grew in finding a solution that would allow the Dalai Lama to return to Tibet. For his part, the Dalai Lama abandoned the idea of seeking independence and traveled to foreign capitals, including to Washington, where the US Congress gave him a forum for a major peace proposal in 1987, and Oslo a few years later, to receive the Nobel Peace Prize. George H. W. Bush became the first president to meet the Dalai Lama, a practice that has been followed by Presidents Clinton, Bush, and Obama. In 1997, the Clinton administration adopted a congressional proposal for a senior State Department position on Tibet. In 2002, Congress passed the Tibet Policy Act, which among other things stipulates the central importance of preserving Tibet’s unique religious and cultural heritage and promoting the Sino-Tibet Dialogue. But American support for Tibet may have peaked. In the past three years, Washington’s resolve has ebbed in the face of Chinese intimidation, and President Obama’s decision to postpone his first White House meeting with the Dalai Lama until after his first trip to China gave cover to Denmark, Australia, and other countries that have made concessions on Tibet under intense Chinese pressure. Washington’s response to the Dalai Lama’s succession plan and the consolidation of Tibetan democracy in exile will have a profound impact. A religion’s tenets and inner workings may seem to lie outside the purview of government policy, but on the grounds of religious freedom alone the US should acknowledge the authority of the current Dalai Lama and the process he has put in motion for transmitting his religious authority. Although taking this step would elicit anger from the Chinese, it would boost Tibetan morale and possibly calm tensions when the Dalai Lama dies. With the Dalai Lama’s devolution of political power, Washington stands at a crossroads in its relationship with the democratically elected Tibetan government in exile. Support for this body is consistent with the US commitment to self-determination that President Obama reiterated in a speech to the British Parliament only last year, and can be undertaken without reopening the issue of Tibet’s independence. Liu and other intellectuals, activists, and human rights lawyers wrote an open letter calling for an independent investigation of events in Tibet, calling for a policy of tolerance and rejecting Beijing’s vicious attacks on the Dalai Lama as reminiscent of Cultural Revolution–era propaganda. Authorities in Beijing recognized the threat that the inclusion of Tibet in the demands of the indigenous democracy movement represented. Several human rights lawyers who offered to defend Tibetans charged with crimes were later denied renewal of their licenses to practice. In 2009, when the Open Constitution Initiative, a small independent Chinese think tank, issued a report critical of the Communist Party’s Tibet policies, the organization was soon shut down. Contrary to perceptions in the West of a monolithic Chinese nationalism, it is not only dissidents who depart from the party line toward Tibet. Ordinary Chinese have displayed a growing interest in Tibetan Buddhism as well as respect for the Dalai Lama. Many donate to Tibetan schools and monasteries. Anti-Tibetan prejudice, built up by Communist propaganda, is now being broken down by efforts like the online dialogue between the Dalai Lama and Chinese citizens facilitated by the writer Wang Lixiong. Before the Internet project was blocked, some twelve thousand Chinese Internet users voted on respectful questions to be posed to the Dalai Lama about his position on independence and autonomy, relations between Tibetans and Han, and the future of his office. Religious freedom and democracy in Tibet and China are just two of the issues at stake for the US. Equally important in geostrategic terms is the way China’s occupation affects India, with which the US has launched a new and possibly deepening strategic partnership. India has disputed borders with China and is greatly affected by China’s control of Tibetan waters, which make up the largest supply of water for the Asian region. Over six decades, America has subordinated Tibet to other concerns. In the meantime, Tibet has become, in the Dalai Lama’s words, “Hell on earth.” The Dalai Lama’s plans for his succession, and the consolidation of a secular, democratic government in exile, present Washington with a challenge. Whether and how the US responds may determine Tibet’s fate, as well as the credibility of American commitment to freedom and self-determination around the world. NOTE— Ellen Bork writes about Tibet and US foreign policy as director of democracy and human rights at the Foreign Policy Initiative.